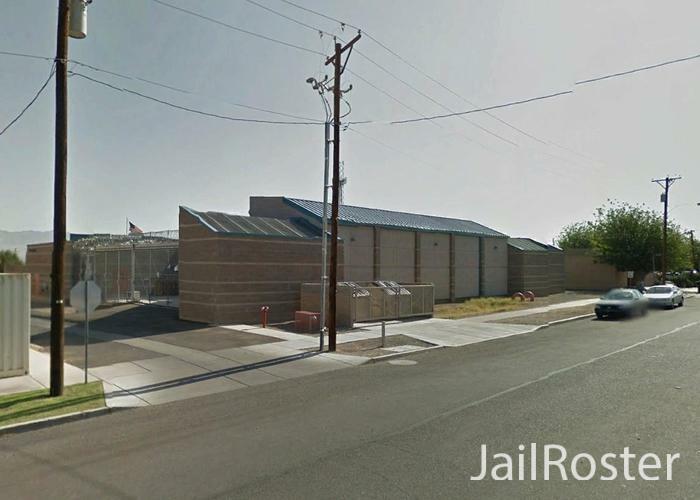 The East Arizona Regional Juvenile Detention Facility is located in Safford, Arizona. The facility is operated and managed by the Greenlee County Sheriff’s Department manages and operates the East Arizona Regional Juvenile Detention Facility. At any given time, the East Arizona Regional Juvenile Detention Facility can hold as many as 48 inmates. A majority of the inmates in the East Arizona Regional Juvenile Detention Facility reside in Greenlee County. All inmates that are held in this facility have no more than a 2-year sentence. While being economical the mission of the East Arizona Regional Juvenile Detention Facility is to supply the inmates with all the resources they need. The Greenlee County Sheriff’s Department manages and operates the East Arizona Regional Juvenile Detention Facility. Keeping and maintaining an up to date database of all current inmates is a big responsibility. That is what the Greenlee County Sheriff's Department does. The East Arizona Regional Juvenile Detention Facility has its jail roster with their current arrests open to the general public by the Greenlee County Sheriffs Department. This database can be found on the Greenlee County Sheriff’s Department official website. Family and friends are allowed to send written letters to Inmates in the East Arizona Regional Juvenile Detention Facility. For safety reasons all letters will be examined when they arrive by the jail employees. The East Arizona Regional Juvenile Detention Facility inmates can get books, newspapers and magazines sent to them. The books, newspapers and magazines will need to be sent straight from the bookstore or publisher to the jail. All books that are sent to the jail must be new and paperback. All used and hardcover books are not allowed. If a used or hardcover book is sent to the jail, it will be sent back to the sender. In order for inmates to use the phone or buy things from the commissary inmates in the East Arizona Regional Juvenile Detention Facility will need funds. There are several different ways to transfer funds to the inmates' account. You can call 928-792-5305, 928-792-5306 to deposit funds into an inmate's account by phone. However, there is a fee for this service. There is a kiosk in the East Arizona Regional Juvenile Detention Facility lobby available between the hours of 7:30 am to 11 pm, daily. The East Arizona Regional Juvenile Detention Facility inmates are allowed to make collect calls. Inmates are only able to call those who have a landline. You will not be able to receive a collect call on a cell phone. The individual receiving the collect call is the one responsible for any and all fees that come from the collect call. Any fees that come from collect calls are not the East Arizona Regional Juvenile Detention Facility responsibility. The East Arizona Regional Juvenile Detention Facility inmates do not have a way to get on the internet. To keep in touch with friends and family the inmates do not have a way to use any electronic messaging systems. You will need to send a written letter to an inmate at the East Arizona Regional Juvenile Detention Facility to the address above If you would like to stay in touch with them. East Arizona Regional Juvenile Detention Facility inmates can have visitors. All visitors under the age of 18 will are allowed to visit, but they will need to be with their legal guardian. Before you are allowed to visit you will have to show either your driver’s license, state identification card, or your United States Passport. The East Arizona Regional Juvenile Detention Facility visits are video visits through Securus Technologies. Inmates are not allowed contact visits in the East Arizona Regional Juvenile Detention Facility. The East Arizona Regional Juvenile Detention Facility visits are video visits through Securus Technologies. Inmates are not allowed contact visits. Visitations at the East Arizona Regional Juvenile Detention Facility are a privilege and not a right.